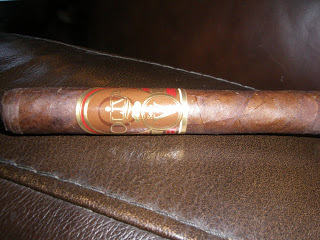 The 2011 Cigar of the Year Countdown focused on new blends for 2011. There were many existing lines that added new vitolas to the portfolio. I’ve opted to focus this on what I consider the five lines and the best vitola that were added. I’ve only included one vitola for each of these blends. The surprising thing is while I am not a big fan of ring gauges below 50, there are three that surface in this top five that qualify as thin ring gauges. The Joya de Nicaragua Serie Cabinetta Lancero ended up as my #13 cigar for 2010. 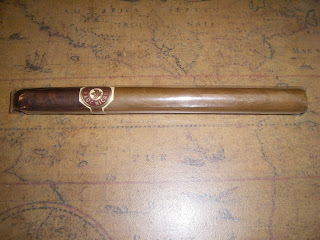 In 2011, one of the line extensions that was added was a lancero. Normally, I am not a big fan of the lancero – but this is a case where the blend worked very well. It added a little more strength and a little more body to the profile. Given this cigar has a segmented wrapper, the lancero does a great job at leveraging the flavors from the wrapper. It preserves the wonderful flavors of nuts, butter, cream in the early portion and coffee and spice toward the Criollo finish. Click here for the post on the #13 ranking achieved by this blend for 2010. The E.P. 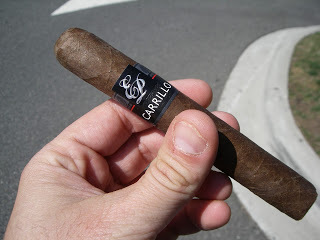 Carrillo Core Line was a solid 2010 release by E.P. Carrillo. It has provided a nice everyday smoke. The release of the No. 4 is 5 1/8 x 42 Petit Corona-size vitola. While I am not a fan of this ring gauge, there was some magic that was added as a result of the blend proportions in this size. While it didn’t increase the strength and body out of the medium to full range, it did add a robustness to the flavors that I had not seen from this blend before. Click here for the assessment done on this blend earlier this year. This is not for the No. 4 vitola, but it gives a good idea for some of the highlights of this blend. 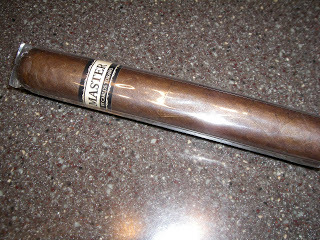 The Torano Master is one of the outstanding lines in the Torano Family Cigars line. It scored a #17 ranking in my 2010 Cigar of the Year countdown. Earlier this year, the BFC 6 x 60 vitola was produced. The big ring gauge added a wonderful smoothness to this blend while keeping to much of the flavor profile that the other vitolas in the line have to offer. It easily qualifies this as a true “Memorable” smoke. Click here for the assessment done on this blend and vitola earlier this year. This is another Petit Corona that makes my top five for new vitolas. This is a line extension for the popular Oliva Serie V line. This release was originally targeted for TAA shops and for the European market, but they have now surfaced more widespread at various retailers. The Petit Corona delivered wonderful notes of chocolate, pepper, and floral notes. Outstanding burn and draw for this vitola as well. This will be assessed later this month on Cigar Coop. While the E.P. Carrillo Elencos was a new line introduced in 2011, it was not a new blend. For the Elencos, E.P. Carrillo took the blend for the E.P. Carrillo Edicion Limitada 2010 and rebranded the Elencos as a core line. They also added two new vitolas in addition to the Toro that was used on the original Limitada 2010. One of those two new vitolas was a robusto called the “Don Rubino”. Without a question, the E.P. Elencos Don Rubino is a runaway winner for best new vitola in 2011. I personally think the robusto vitola worked better for this blend than the original toro. Pepper, cherry, caramel, wood, and cinnamon highlight the flavor profile. In my opinion, it is the old school taste and feel to this cigar that is the intangible and puts this one on top.